Low back pain. There is so much out there on what is right and what is wrong. You can spend an entire day just googling “low back pain” and going through all the articles. What we hope to do with these posts on low back pain is to give you actionable steps and movements to keep moving. There is no one solution to low back pain but we know that if we can keep someone moving, it’s a good first step in the right direction to managing it. These movements do a multitude of things for the low back. There can be times where our low back pain can lead to unwanted stiffness and tightness throughout the entirety of our body. This is not uncommon by any means but is attributed more to our lack of movement than to any possible pain or damage to the low back. That being said, when we are seated back on our heels it keeps the movement in the low back minimal and allows us to move the rest of our spine around the low back. This gives us a greater sense of control of other movements and some body awareness other than the focus on how to and not to move the low back. Sometimes the most important thing we can do is just move. Similar to the idea of movement helping with stiffness and tightness the type of movement can be important. You’ll notice with multiple progressions of the movements that we are turning or rotating in various directions. These rotation is the type of movement that can be beneficial. Often we don’t end up doing a whole lot of rotation throughout the day and this sensation can feel great for a lot of people. 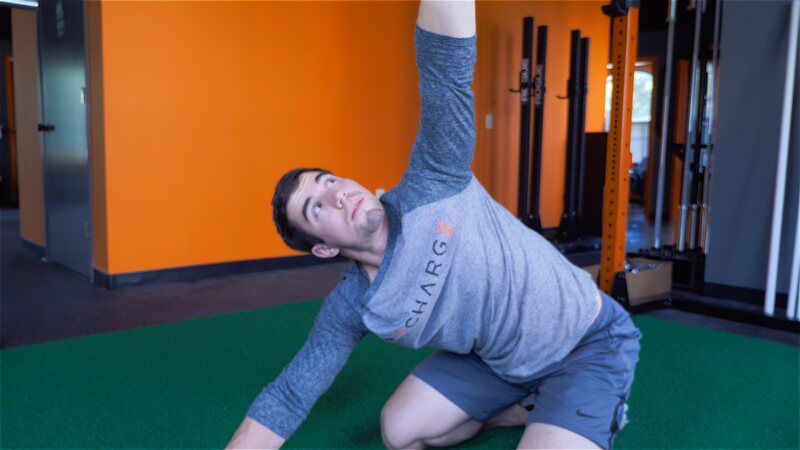 The last point associated with the benefits of these particular movements is the idea of getting to “end range.” All that really means is that we are moving are body through as much of the motion as we can control. If we think about how little we often use all the motion are joints and body are capable of, it is no wonder that we can develop stiffness and tightness sometimes associated with low back pain. How Often Should I Do These? These types of movements are not that stressful to the body and thus can be performed as often as you feel. The best times may be at night or in the morning to help “wake up” or “relax” the body. You’ve probably heard the saying “motion is lotion,” well, we agree and these movements in particular are a great way to have the body feeling loose and great again. Want to learn more about how to deal with low back pain? 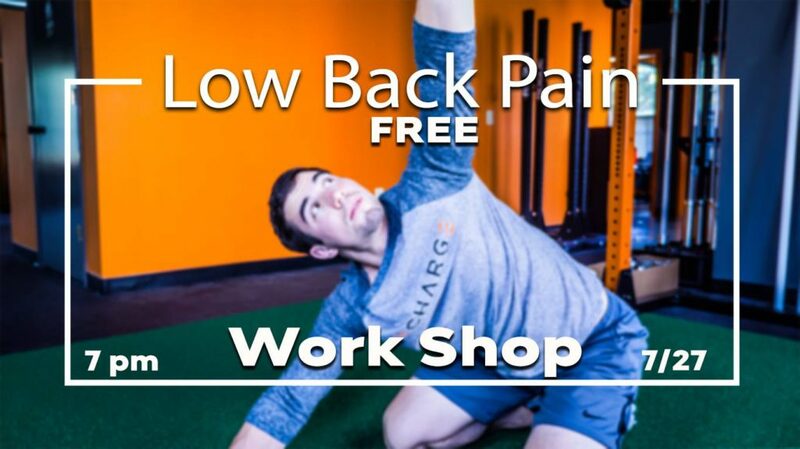 Join us for a FREE workshop on July 27th at 7pm ET at Recharge|HoCo CrossFit!